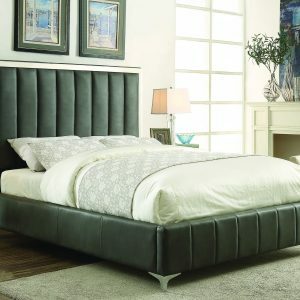 The tall headboard of this elegant upholstered bed is beautifully accented with a bottom tufted design. 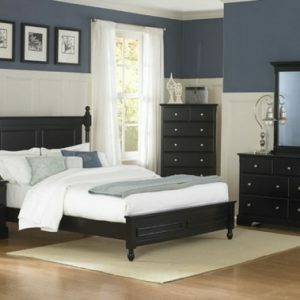 The bed sits on dark brown pine feet that contrast well with oatmeal linen color of the bed. This upholstered bed brings comfort and classy style to your master bedroom.